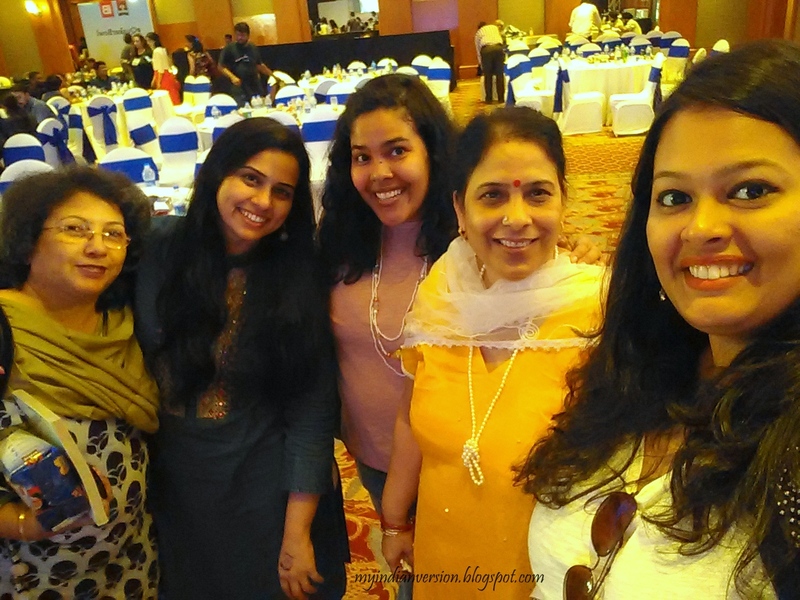 My Indian Version: IndiBlogger Meet and My Dream Come True Moment! Do you remember your memorable Sunday? Well, I had experienced one of the most memorable Sunday till now on 10th April 2016. 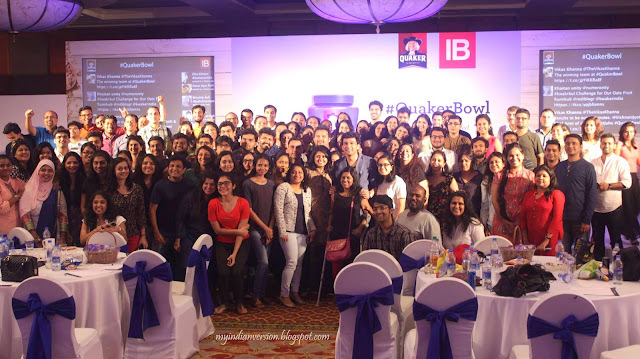 It was all during Quaker Bowl IndiBlogger Meet at Mumbai. IndiBlogger is one of the biggest Indian blogger communities where you can interact with all kinds of bloggers on a single platform. This was my 1st IndiBlogger Meet where I met bloggers from different spheres for very 1st time! I left home feeling excited, nervous, happy, curious and so many emotions at the same time. Little knowing that one of my dreams to meet my inspirational person was going to come true. The result of these mixed emotions I landed up at JW Marriott, Juhu (the venue of the meet) 45 mins early! But I was not the only one to reach early! There were few others who have known each other for a long time. While waiting for registration to start I have already made two new blogger friends. And made more friends during the whole event. The event started with a warm welcome by the host. Then one of the IndiBlogger members mimicked a self-obsessed singer (I don't remember the singer's name) and made a great effort to make everyone do some funny dance movements. It was a fun start. All this madness reminded me of my college festival fun. 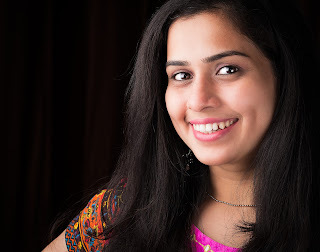 After that, few of the first time IndiBlogger meet attendees were asked to speak about themselves and their blog. No, I didn't get the chance to speak as the 1st-time attendee of the meet. 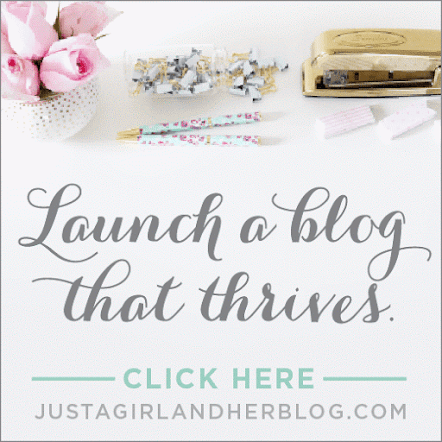 But I enjoyed the other blogger's introduction! 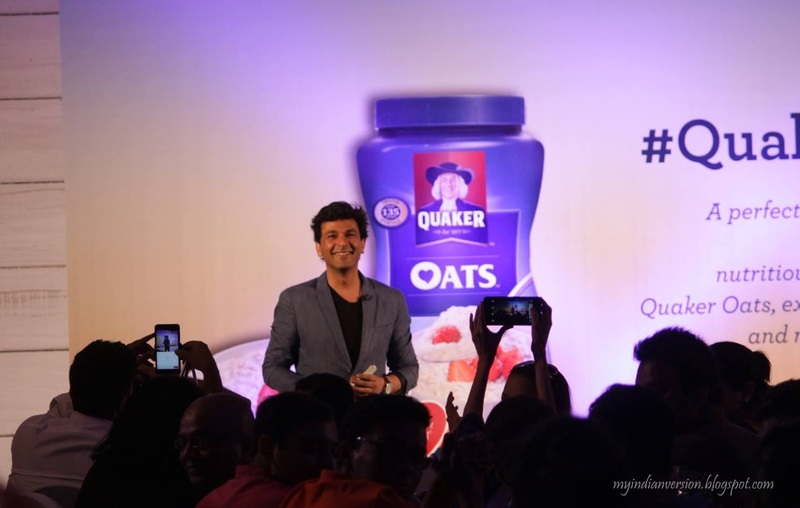 The event was Quaker Oats produced and hence some celebrity chef was invited to share oats recipes. Well, the IndiBlogger team completely surprised us when celebrity Masterchef Mr. Vikas Khanna entered the hall! Yes, you read it right. 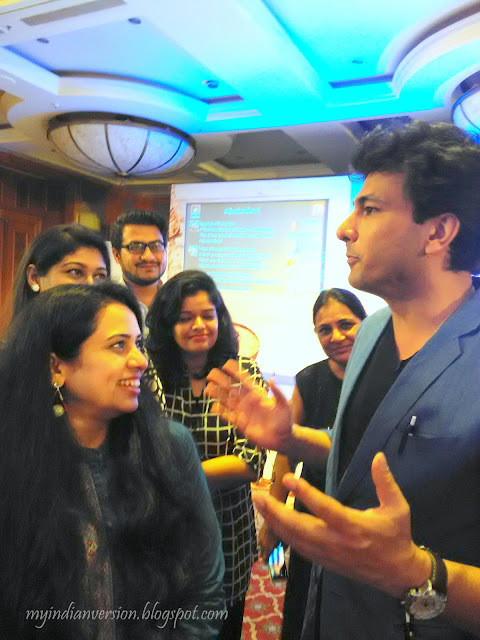 Vikas Khanna, who has been awarded 5th Michelin star this year for his Indian fine dine restaurant, Junoon, New York. He also co-hosts Masterchef India. Apart from being a passionate chef, he is a writer, filmmaker, author, self-taught photographer, a humble person and now a Nutrition Ambassador for Pepsico. He spoke about nutritious values of Quaker oats and shared several ways where oats can be substituted in daily meals to add more nutritional values to it. And within no time Mr. Khanna was speaking passionately about food and power of food to change many things. 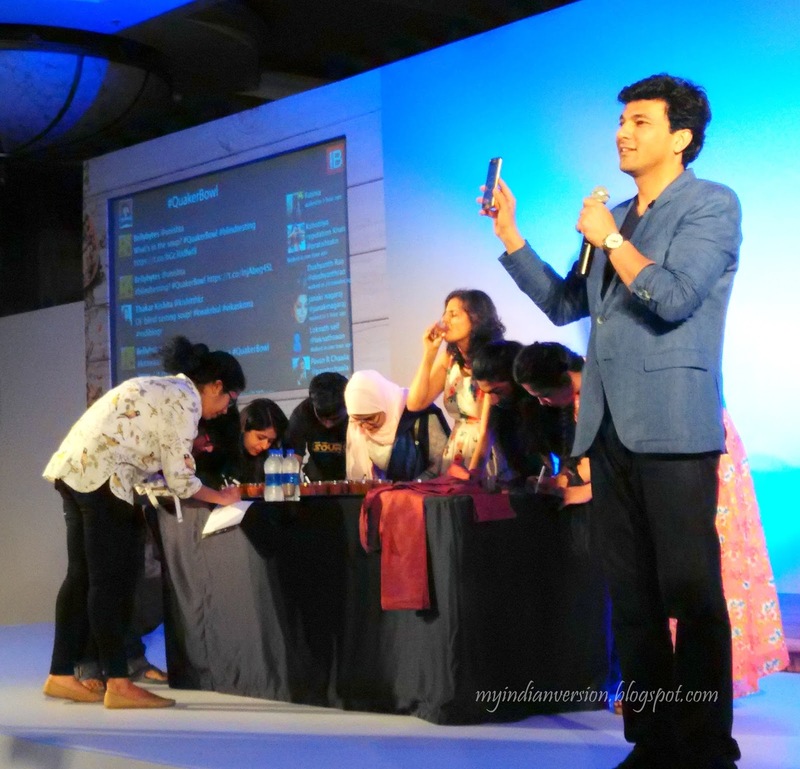 He went through quick Q & A round about food facts where right answering bloggers fetched Quaker Oats gift hamper. 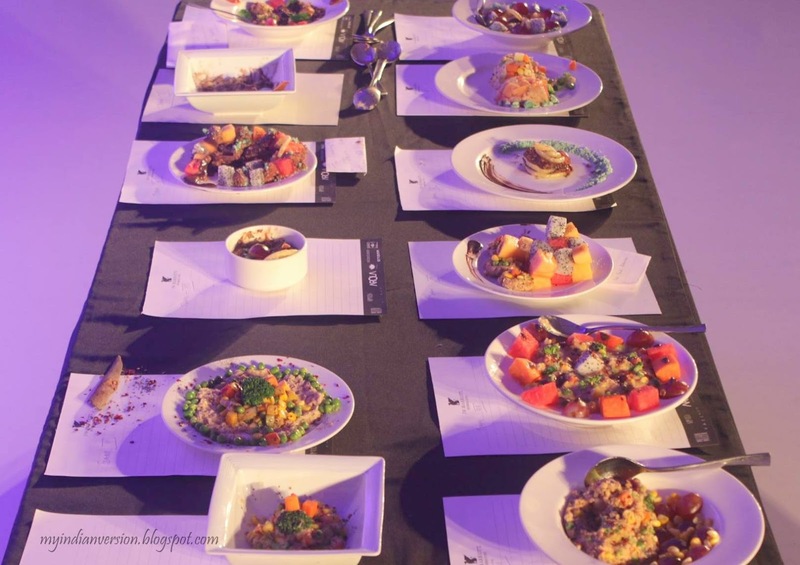 More interesting games like food tasting and guessing their ingredients and a group competition of making a nutritious recipe using Quaker Oats made the event lively. 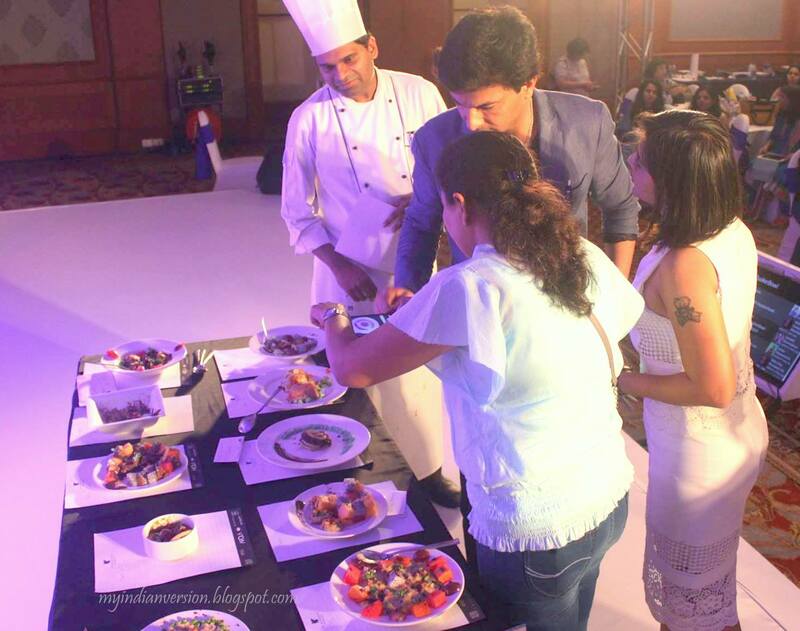 Mr. Khanna and other chefs tasted all the 12 recipes. My team (Team 1) and Team 10 were announced to be top two recipes of the day and Team 10 reached up to the winning spot. Congrats Team 10! Meanwhile, all were busy talking and getting selfies from Mr. Khanna. I was quite surprised with his patience while dealing with his (crazy) fans. Standing quietly in a corner I was waiting for good time to talk to Mr. Khanna. 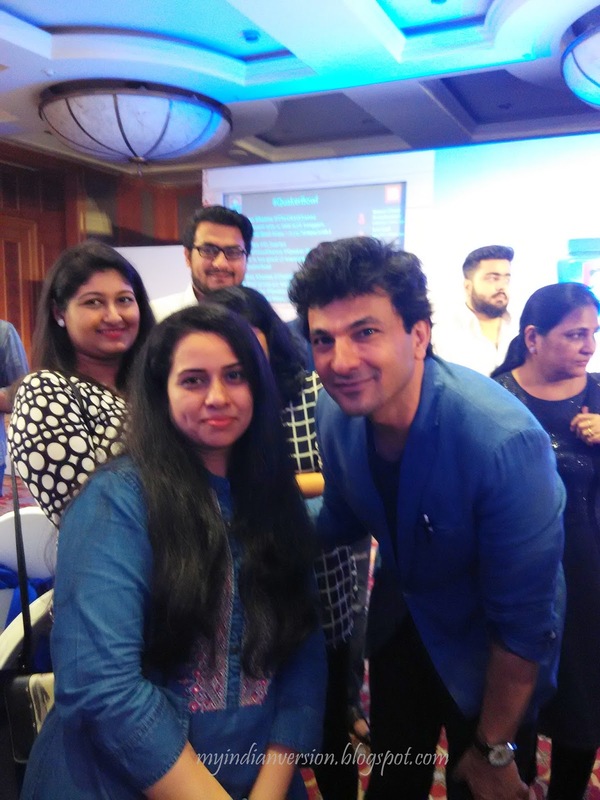 Vikas Khanna is one of those people whose passionate talks has inspired me during my lowest and hardest period of my life. And I have a dream to meet all those people who inspired me and say thank you to them. Mr. Khanna's nature of speaking his mind had set him apart from other great chefs. I was completely taken aback when I saw his interview where he mentioned of almost losing and then getting back admission in Welcomegroup Graduate School of Hotel Administration at Manipal, by speaking his mind out of his dreams. So meeting and talking to Mr. Khanna was one of my dreams coming true moment! At the right moment, I approached him and told him my little story and how he has been inspiring me. He was hearing it all carefully and was touched by it. Finally, I said him a big 'Thank You' and handed over a Thank You card to him. This Thank You card was actually my Goal Card of this year's goal - 'I Speak My Mind'. And Mr. Khanna with a warm felt heart kept that Thank You card into his wallet, in front of me! That was my most memorable moment of the day. The feeling that my Thank You card is still in Vikas Khanna's wallet brings a smile on my face. As a goodbye gift, everyone was given Quaker Oats pack and a complete Oats recipe book. The event concluded with a group photo and a tasty lunch. The highlights of the lunch were Panner Makhani with Oats and Choco Oats dessert (Correct me if I wrote wrong names of the dish). With my pack of Quaker Oats, I made Oats Egg Omelet and Oats Vegetable Meal. It came out really tasty and now both these oats recipe are on my family breakfast list! 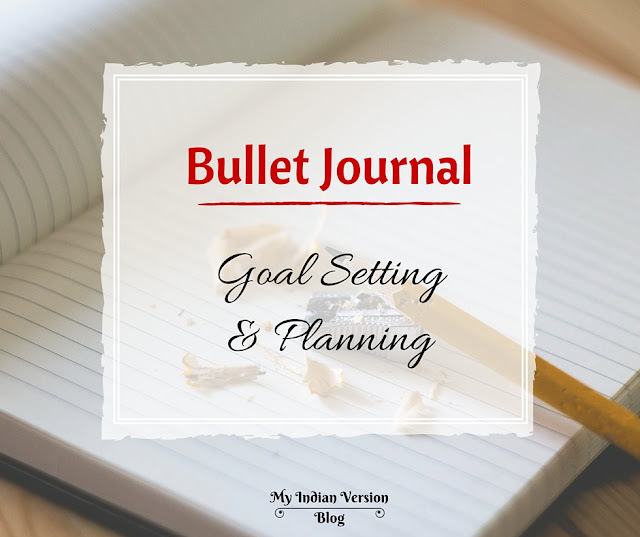 I know this is the longest post I have written till now! But I had so much to tell and did not want to lose any detail while sharing it with you. And while writing this post I was re-living one of the dreams come true day. Do you remember your dream coming true moment? What was it? Hey Sweta...loved reading it! Congrats!! and you know what... we five from our table won vouchers (Richa n Prachi Shailendra, Varsha, You an Me)!! remember how disappointing we were feeling ignored that day!! well...you remember me ...right!Congrats...once again!! Hi Tina, thanks for such a sweet comment! And of course I remember you all and the fun we had during the whole event!! And congrats for winning the contest!